Such large screen tablets with phone functionality are generally more popular in developing countries, perhaps If you only have money to afford one device, why not get the biggest device possible? Another possible use case could be for MINDEF. They have a weird policy on mobile tech gadgets. In the MINDEF green zone, you can bring in a camera phone (any screen size), but not other computing devices such as tablets, or laptops. So this will be a good option who wants to bring a tablet-like device to camp. The Fonepad 8 technically qualifies as a mobile phone suitable for the Green Zone. As a daily driver, the Fonepad 8 isn’t equipped sufficiently for the geeks. It sports basic specifications, such as the Intel ATOM processor, a 64-bit Intel Atom Z3530 1.3 Ghz Quad Core Processor, PowerVR G640 GPU and 1GB of RAM. 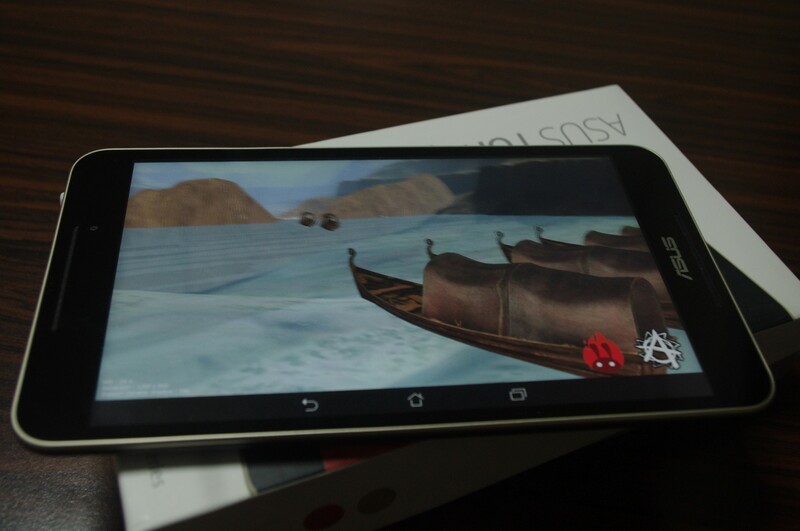 Antutu scores for the Fonepad 8 are impressive, hovering around the 38k mark. It is strange that I do encounter some slight lag when multitasking and gaming (e.g. Fifa 15 and Dead Trigger 2). But generally, I found browsing and loading of documents to be responsive. On the phone side, the Fonepad 8 supports Dual SIM (dual stand-by). There’s no 4G support. There’s a microSD slot next to the two micro-sim card slots. The display is a 1280 x 800 IPS screen, and it offers good brightness and viewing angles. The low resolution is an issue though, when you are reading small print documents such as e-magazines. The battery at 4000 mAH might sound small for an 8 inch tablet, but it turned out to be pretty good, and saw about 12 hours screen-on time for me. The front-facing stereo speakers are adequate and offer good volume. 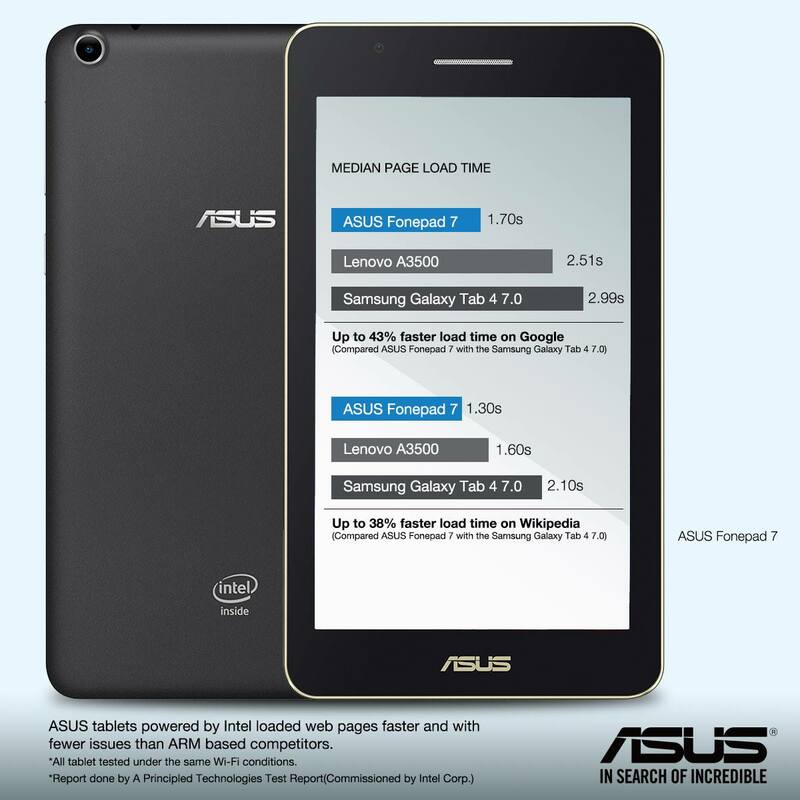 Like the Asus PadFone S, it’s great to use a tablet with the sound coming at you. The top speaker offers 1.0W output, bottom 1.5W output, for a 2.5W combined output strength. The overall design is simple and elegant looking. It is also a plus point that it is relatively light. I was able to hold it comfortably in one hand. I like the slim edge and the textured rubber back. 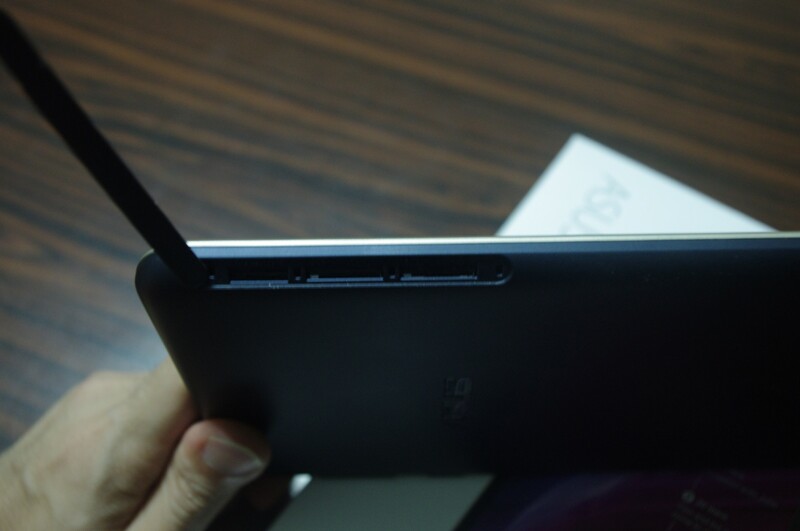 It actually looks rather similar to another Asus tablet – the Google Nexus 7. Sports a similar bezel and textured rubber back. The bezel is only 5.06mm wide only, which helps optimise the screen to size ratio. 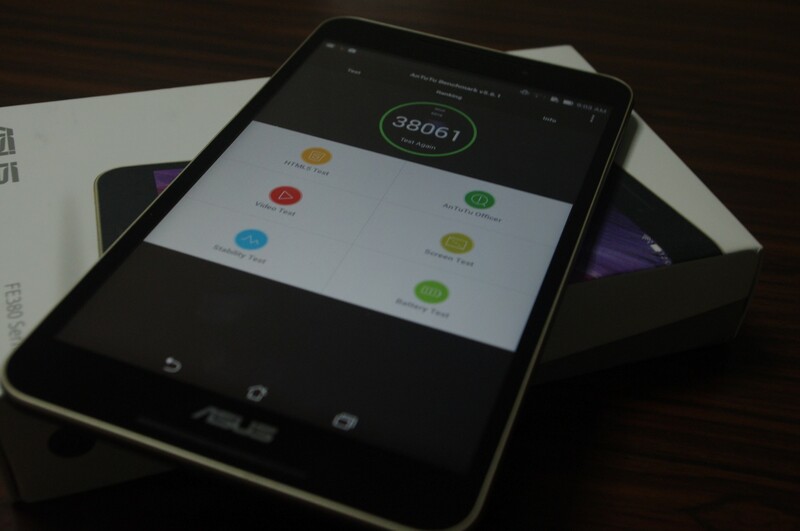 The Fonepad 8 runs on the same ZenUI that is on Asus other Zenfone and PadFone models. There’s a bunch of built-in ASUS apps, and thankfully, they adopt a similar design that ties in to the overall theme. One example is What’s Next, which helps users to manage their upcoming schedules. It supports Bluetooth headsets which is a must, as otherwise, I figured I look hilarious holding a 8” tablet to my face while answering the calls. If all else fails, the tablet is still big enough to cover my face from gawkers. Personally, I am not a big fan of a phone that cannot fit into my pocket. So over the course of a couple of weeks, the Fonepad 8 is ok when I have a bag with me. It’s light enough to forget that I’m carrying extra weight. The problem is when I don’t have a bag. The Fonepad 8 is not a gadget that can easily fit into your pockets and it was awkward for me to carry it out and abouts. The Fonepad 8 retails at S$298 in Singapore and does fall into affordable territory. If you are looking for an Android tablet with phone functionality, there isn’t much options to choose from, especially for a dual-sim tablet. For more performance, perhaps you can consider the PadFone series which is a phone with a tablet dock. Overall, the Asus FonePad 8 is a decent tablet with phone functions. The overall build is good, great for multimedia content with the bright IPS screen and front facing speakers. If you don’t need the 3G and phone function, there are some better options to consider, such as the Xiaomi Mi Pad which is a real budget killer.